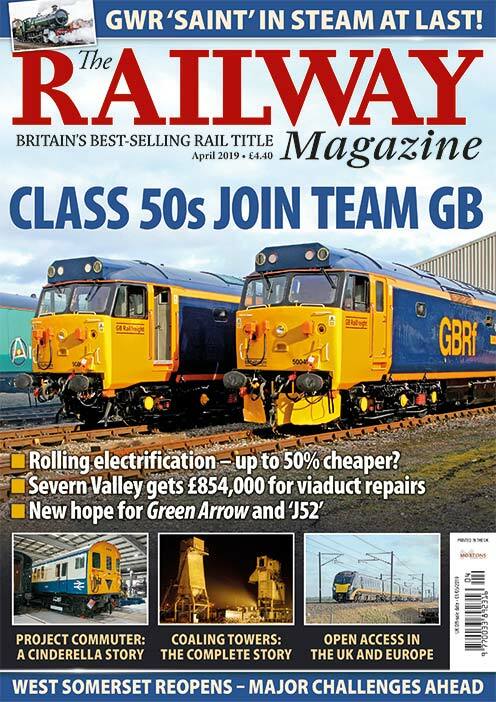 In the first of a two-part feature, Engine Shed Society president Nick Pigott presents a historical survey of the towering landmarks that once dominated the scene at more than 100 steam depots. The two young locospotters alighted at a station they’d never been to before. Hardly able to contain their excitement at the prospect of visiting a big city engine shed for the first time, they looked around for signs of its whereabouts. The lads had no map or shed directory, satnavs were still the stuff of science-fiction and a stiff breeze meant there was no telltale smoke haze over the area. Suddenly, one of them shouted “There it is!” and away in the distance could be seen a tall concrete tower. Now they knew in which direction to walk. 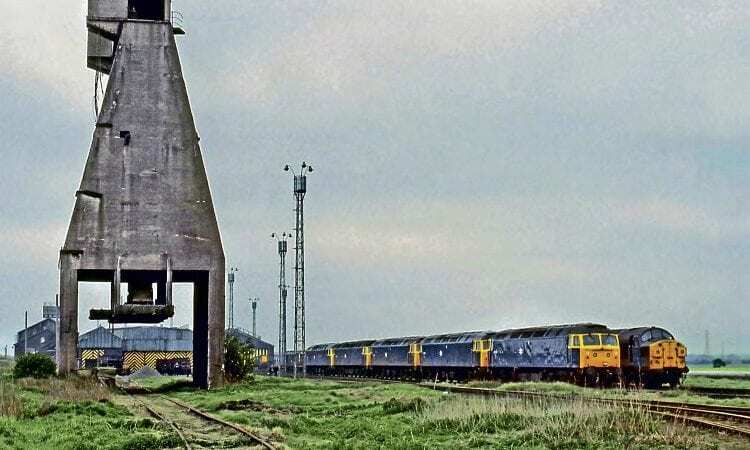 Until last year, this coaling plant at Immingham still stood, despite the depot having closed to steam more than half a century previously. RAIL PHOTOPRINTS. Mechanical coaling plants were true landmarks, dominating the scene and often visible for miles around. Affectionately known to many railwaymen as ‘cenotaphs’ after the famous London war memorial, even though they weren’t all the same shape, they were as helpful to railfans as navigation aids as floodlight pylons were to visiting soccer fans. 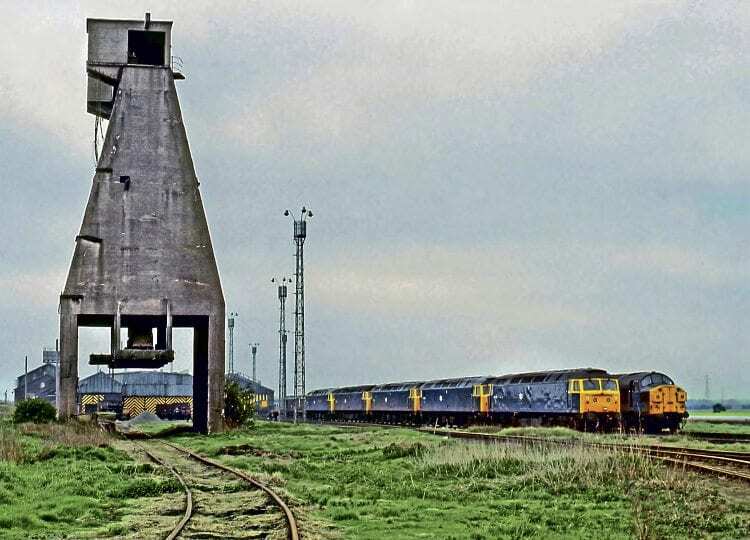 There were once more than 100 ferro-concrete coalers in the United Kingdom, but today only a single example remains, at Carnforth, and even that’s been out of use for almost 30 years. Carnforth is also home to the last of the UK’s concrete ash-disposal plants, smaller cousins of the coaling towers (which will be covered next month). In the beginning, the fuelling of steam locomotives was a simple affair. One or two men with shovels would stand on the ground or on a wooden platform and throw a pile of coke into a tender or bunker, sometimes directly from a wagon alongside the engine. This method was later improved by loading the fuel into iron tubs or wicker baskets and using a small hand-operated crane to lift them over the side of the tender. 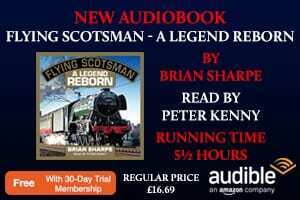 As the early Victorian railway era progressed and locomotives increased both in size and number, muscle and crane power at all but the smallest sites became inefficient… such an operation at one big Scottish depot, for example, required a daily workforce of 11 coalmen and two crane boys. This led the London & North Western Railway’s innovative engineer John Ramsbottom to devise the world’s first mechanical fuelling plant. Introduced at Manchester London Road in 1852 and shaped rather like a fairground carousel, it comprised a set of 20 hinged iron buckets and could transfer three tons of coke from a wagon to a tender in just two minutes. Although the device had to be operated by hand and the containers had to be filled in advance, the time and workforce required to replenish an engine were almost halved – yet the idea failed to catch on. 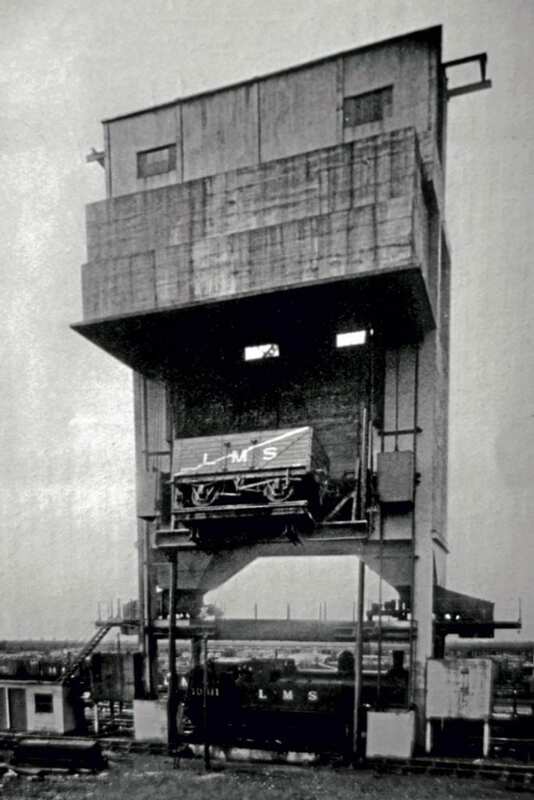 This was partly because locos could only approach the device tender-first due to the overhanging buckets, but mainly because a much simpler system was already in widespread use by then. This was the coking stage, basically an elevated version of the simple platform mentioned above. 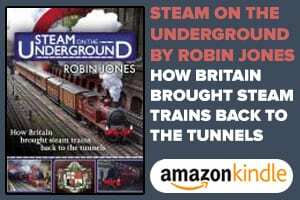 Built either of brick, stone, timber, metal or a combination of those, such structures were almost invariably connected to a steeply graded embankment, up whose ramp standard gauge wagons were propelled by a shunting engine.